Luckily, Joy Barlogio of Jack Creek Farms knows a thing or two about picking the best fruit among the dry vines. Her family has 115 years of pumpkin growing experience and she built allaboutpumpkins.com as a guide to pumpkin lovers everywhere. With Halloween just around the corner, this is the money weekend for Joy and her family. Hundreds are already making the drive up from the densely populated parts of Southern California, bringing kids looking for the very best pumpkin to greet trick-or-treaters. Meanwhile, parents can sort through the farm’s culinary varieties for the perfect thick-skinned addition to the pantry. Here are seven tips from Joy for those planning a similar schlep to the pumpkin patch. The pumpkins and squashes at Jack Creek Farms pretty much serve two exclusive purposes: cooking or decoration. “One thing that I really encourage people to do is never make a pie from a jack-o’-lantern,” says Joy. “We have so many people who are told they can make a pie from their jack-o’-lanterns after Halloween and the pie comes out stringy, watery and without a whole lot of flavor other than the waxy flavor of a burning candle.” Ick. Joy encourages people coming to the patch to have a plan for their pumpkins and squashes. Want something Junior can just drive a knife into? There’s pumpkin for that. Want a pie? There’s a pumpkin and a squash for that. Want some autumnal ornaments? Take a gander in the gourds. 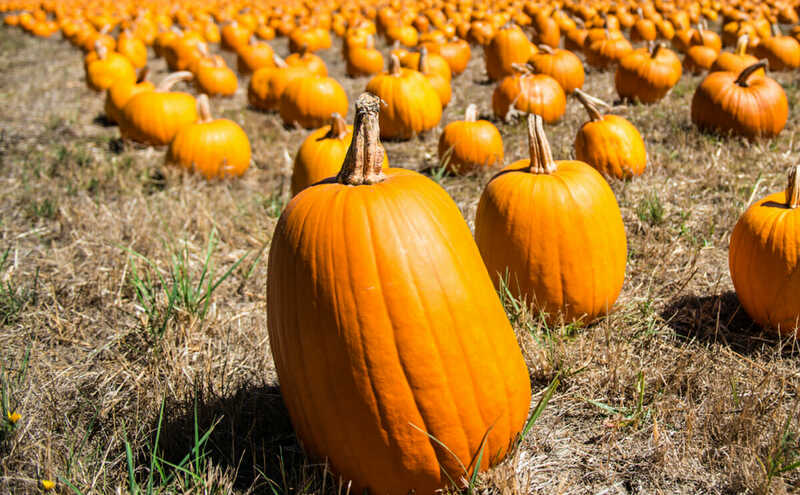 It’s easy to get lost in the diverse world of pumpkin things, so know what you want before you get there. Obesity is a good thing in culinary pumpkins, especially if you are planning to store them for a while. “You should always pick one that feels heavy for its size because that’s going to mean that it has more flesh,” explains Joy. Not only do you get more food, but because squashes and pumpkins dehydrate through the skin, a fatter pumpkin will only get sweeter over a few months on the back of the counter. Joy thinks people don’t realize how easily pumpkin flesh freezes. “We recommend that people chunk up [the pumpkin or squash meat], bake it until it’s tender, mash it to a pulp, and then portion the pulp into plastic bags. You can even portion out the exact number of cups you’d need for your favorite recipe.” Those bags can then be flattened and stacked in the freezer, promising delicious pumpkin pancakes and pies all year long.